Most of the banknotes, cheques, bank cards, etc. contain fluorescent substances that intensively light up under ultraviolet (UV) light. In general, counterfeit notes do not contain these substances so that exposure to UV light offers sufficient protection from counterfeit notes. 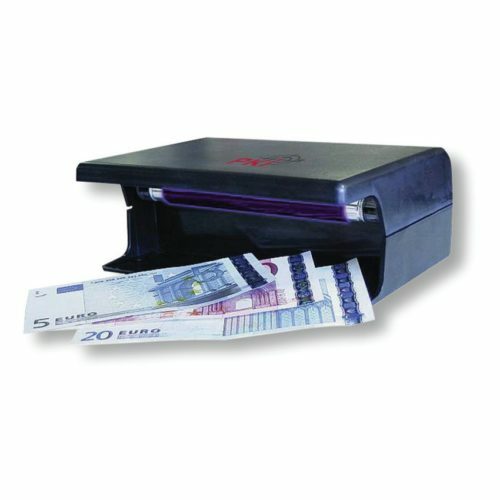 Due to the increasing criminality, these devices become indispensable in the private as well as in the professional sector. 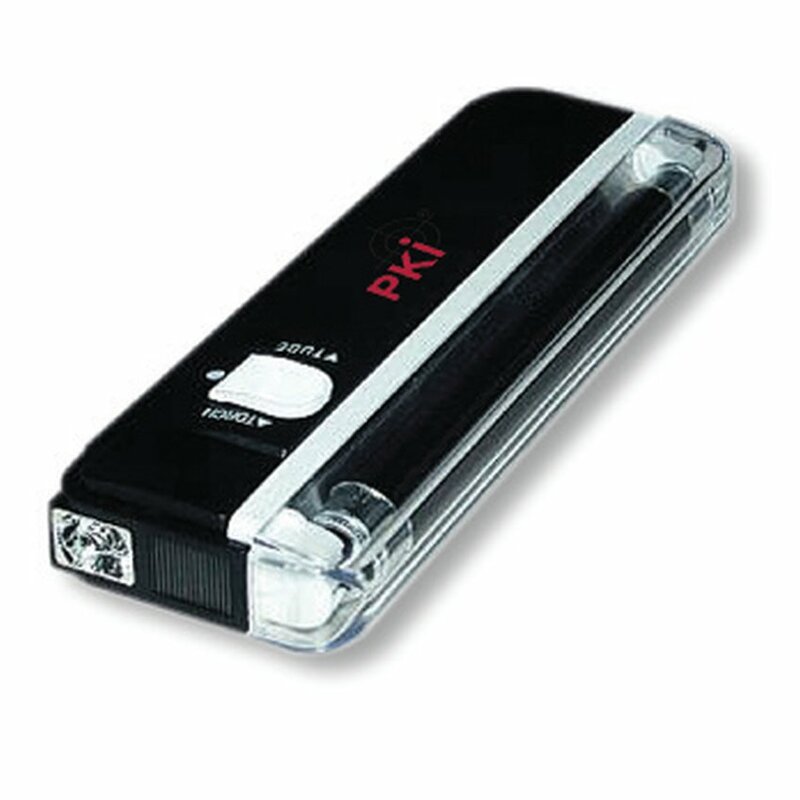 The PKI 8500 is designed for mobile use and the PKI 8505 for use in the office or private houses with 230 V power supply.